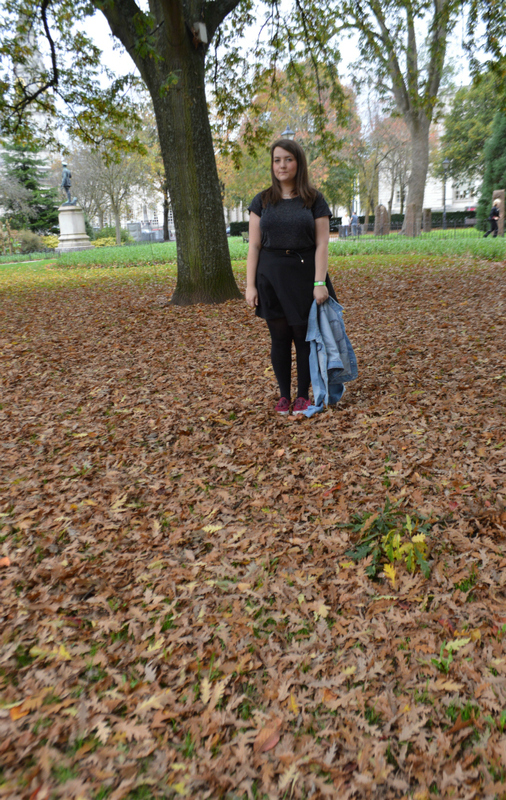 On Saturday I headed into Cardiff to have an afternoon stroll around Cathays Park and make the most of what the area has to offer. I visited the National Museum but before that I headed to Made by Hand Wales. Made by Hand Wales is the first craft event of its kind to be supported by the Arts Council of Wales Fund and demonstrates a big commitment from Welsh Government to support small creative businesses across Wales. The craft event was host to over 135 of the designers and was in the plush surroundings of City Hall. Not only could you buy handmade goods there was also a full programme of free children's workshops, adult workshops, demonstrations and talks every day about contemporary craft & art by leading makers, historians and curators. There was so much to see and take in there and I wanted to buy so many lovely things, there was a lot to take in and all of it was of such a high quality. 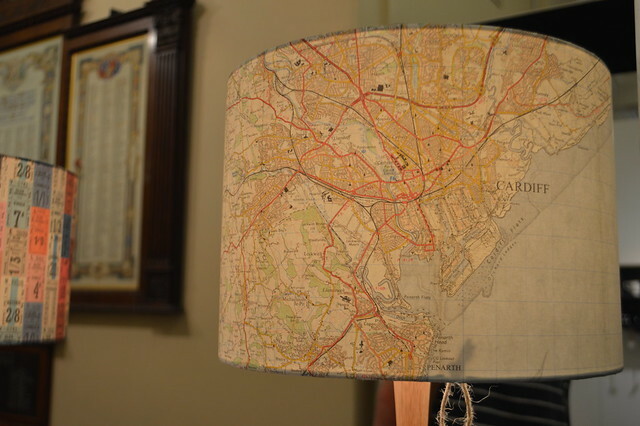 I really want one of these lamps with Newport and Blackwood on it, grace & favour home make them and if you want a custom one head over to this site. Grace & Favour Home is the work of Designer/Maker Rachael Rowe who works from her studio on the edge of Dartmoor to create unique homewares with a vintage inspired point of view. Every piece is made in the Devon studio by hand, sounds good right? The wirework art is by Helaina Sharpley, the Christmas decorations are by kirsty (she also has a wonderful shop in the Castle Arcade in Cardiff), the ceramics are by Ken Eardley and the cute gifts are by Megan Alice England. I'm definetly looking forward to this being an annual event that I can attend, it's a great place to find something unique. It's a bit of a shame for me and my city (Newport) that the fair has left as it was held in Tredegar House the previous two years. I hope the more central location in Cardiff gives the artists and craftsmen more opportunity to sell and promote their work. 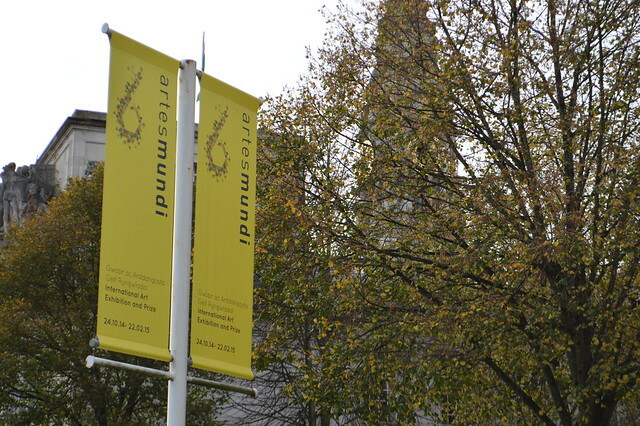 Next on my itinerary that afternoon was a trip to see the Artes Mundi prize at the National Museum. I've got my 'going to see serious art' face on in the photo below. This major international contemporary art exhibition and the UK’s biggest art prize, returns to Cardiff. 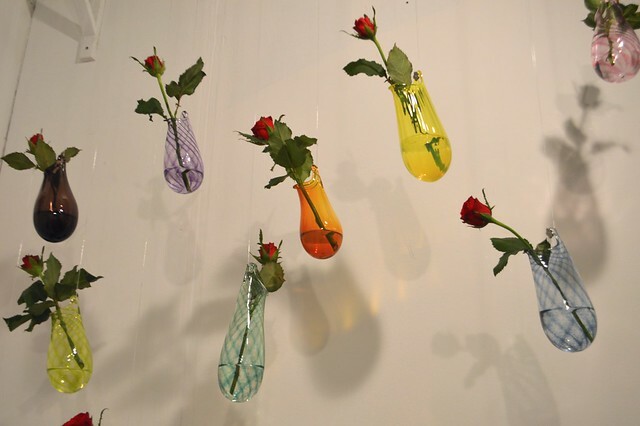 It's going to be on display there until February 22nd if you want to go and check it out yourself. 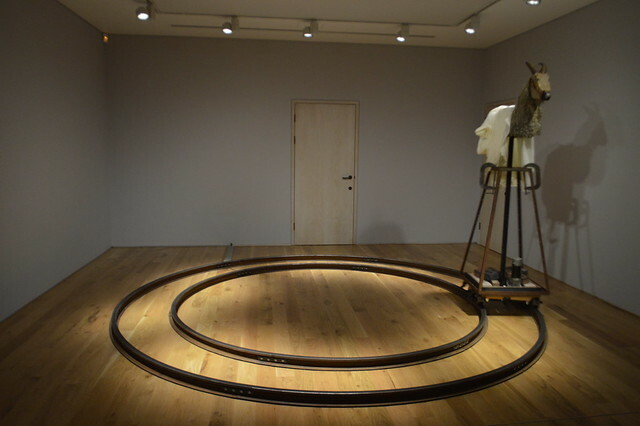 It brings some of the world’s most pioneering artists to National Museum Cardiff and features groundbreaking work including film installations, sculpture, painting and performance. The theme this year is the human condition. I tried to like it, I really did. Some of the installations provoked some thought but I think I needed a guided tour. I didn't know much about the artists and this type or art isn't really my area of expertise. Am I just really uncultured? Probably. Now the rest of the art collection they have does reflect my area of interests. There are some wonderful paintings of the Valleys and industrial South Wales, a great exhibition featuring WWII lithographs and Welsh art from the Early Modern period. 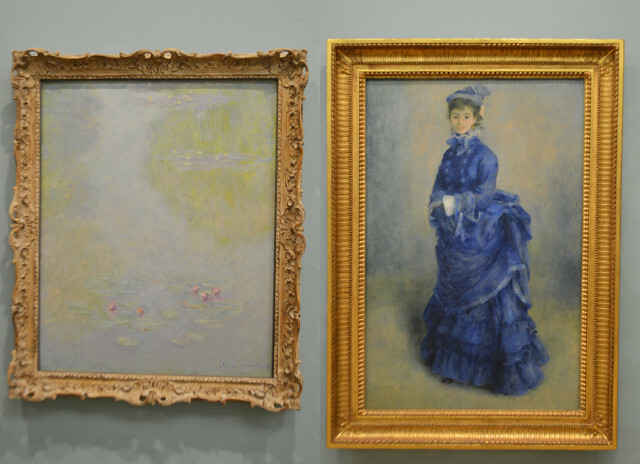 What I really love about the National Museum is its collection of Impressionist art donated to the museum but the Davies sisters. Gwendoline Davies (1882-1951) and Margaret Davies (1884-1963) were the granddaughters of David Davies who made his fortune during the industrialisation of Victorian Wales. He built much of the railway system in mid-Wales and was a pioneer of the coal industry in south Wales. Their childhood was dominated by the strict beliefs of Calvinistic Methodism. They learned that it was their Christian duty to make good use of the great wealth they would inherit. As young women they developed a deep love of the visual arts and music and travelled widely in Europe and both sisters served with the French Red Cross during the First World War. The sisters championed social, economic, educational and cultural initiatives in Wales. Their idealism and generosity had a huge impact on the cultural and intellectual life of Wales which is still with us today. 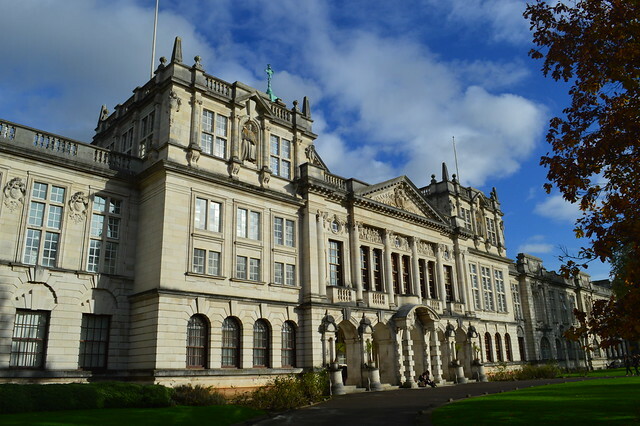 Not only does Cathays Park area have City Hall and the National Museum it also has lots of other lovely listed buildings and is a very pretty civic area. I work here everyday and never get bored of my surroundings. 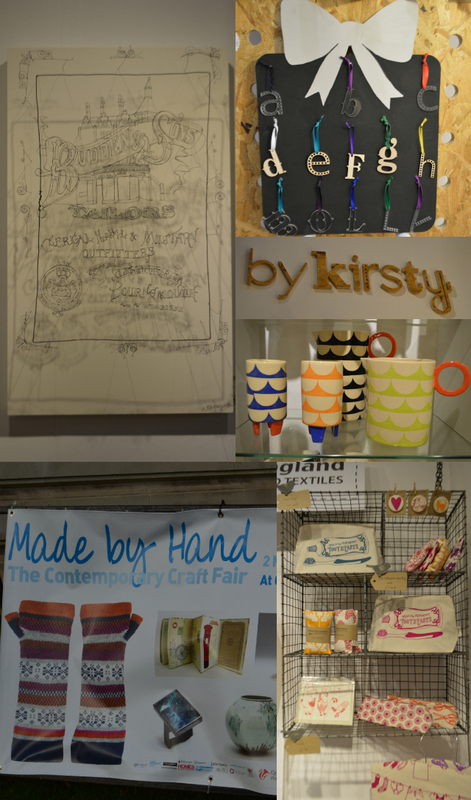 Did you go to the Made by Wales Event? 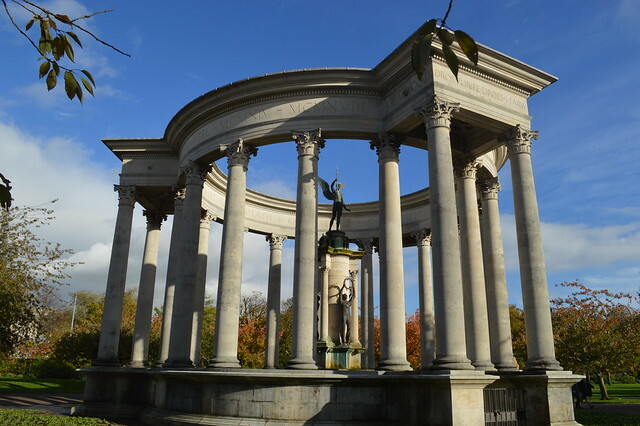 Have you ever visited this area of Cardiff? What a great day out. I have never been to Wales, and Cardiff is actually on my list, hope to go within the next few months, so I love posts like this one. The Made by Hand Wales looks like a great event! It looks like you had a fabulous day - I totally love that lampshade too. I must say I think Cardiff is a fabulous city. What a fab day out! The lampshade is also a big hit with me! I have never been to Cardiff! The day out looks great - I've been to Wales a lot, but never Cardiff. The lamp at the top is gorgeous! I love it.